To start importing products, move your mouse on the price tag and go to the "Search Products" or "Oberlo Supply" page. 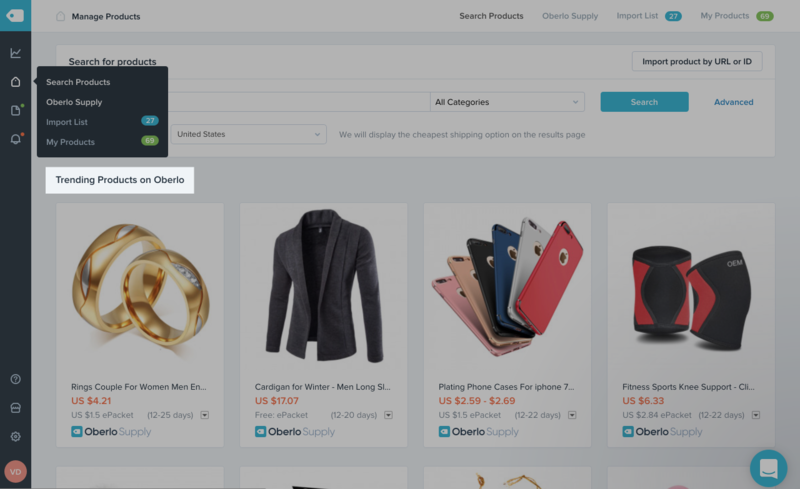 On the main "Search Products" page you can find trending products on Oberlo! If you still have no idea what to sell, you may get some inspiration here. 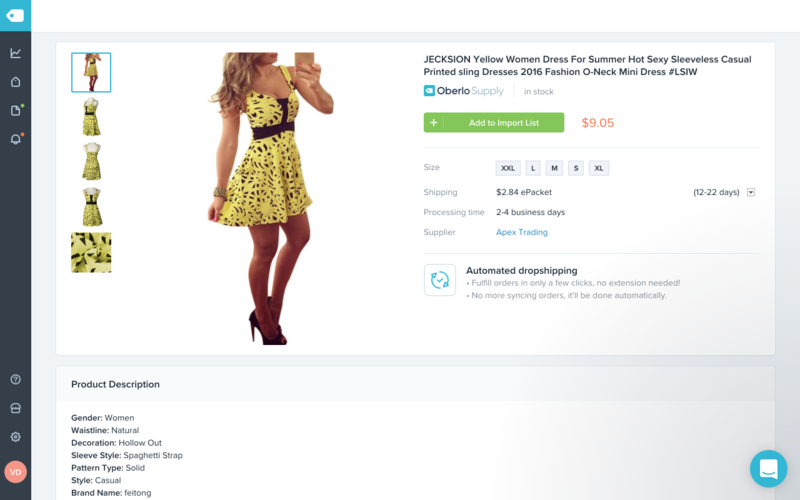 Once you decide what products you would like to sell in your e-store, you can write various keywords or select product categories to find desired products and add them to the Import list. To do this, simply click on the green "Add to Import list" button. 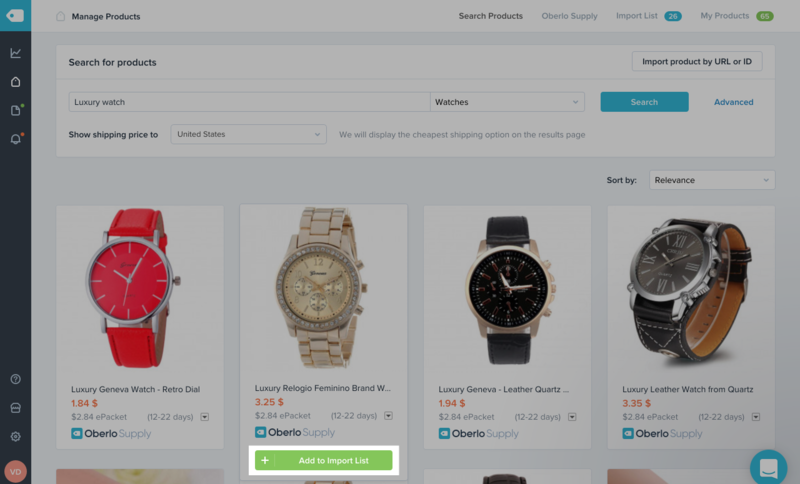 When you are on the "Oberlo Supply" page, you have an ability to explore products by a specific supplier. To better filter the products you are interested, use the search option tool. 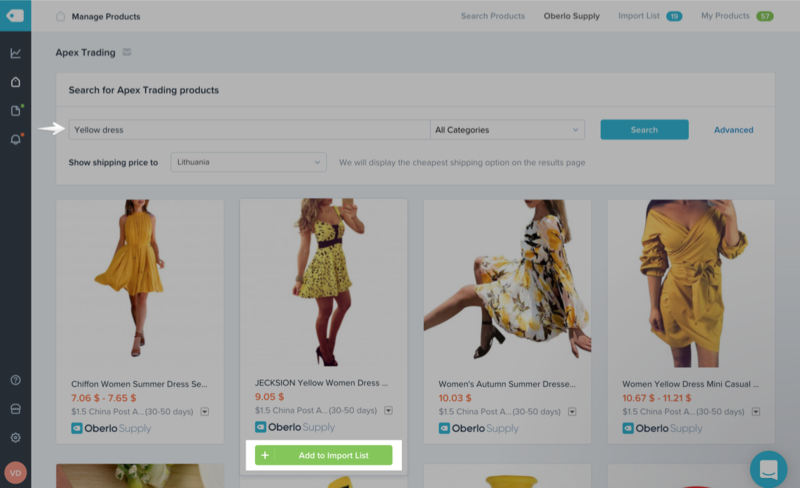 After you find the product you want to import, click on "Add to Import List". To see more details about the product, such as images, description, and available variants to sell, click on the product title and you will be directed to the product page. You can find your all imported products in the Oberlo app > Import list. 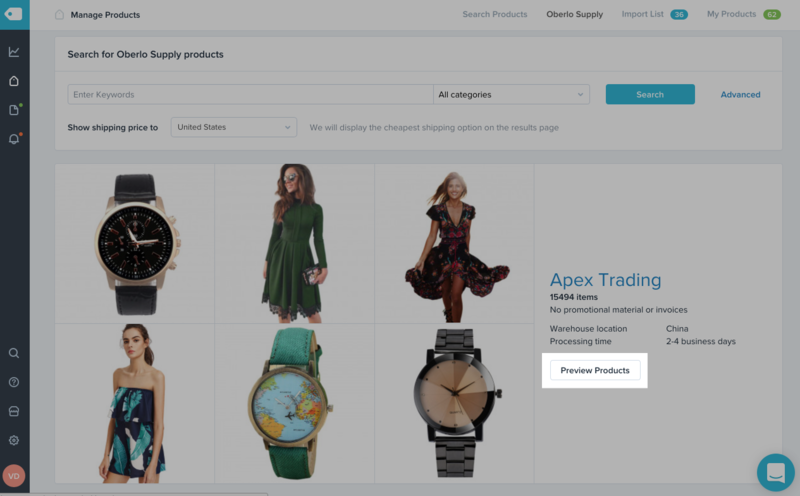 From here you can customize your products any way you want and then publish them in your Shopify store by clicking "Push To Shop" button. Click here to learn how you can customize your imported products.